Box Hill Institute, with funding support from the Victorian Government, has developed a Certificate IV and an Advanced Diploma in Cyber Security to address Australia’s critical cyber security skills gap. This solution has been developed in close partnership with industry, and established as a work-integrated model of delivery, developing work ready graduates with technical skills. According to AustCyber (the Australian Cyber Security Growth Network) and Alistair MacGibbon, Special Adviser to the Prime Minister on Cyber Security, Australia requires an urgent increase in the number and quality of cyber security specialists, and the problem requires a single, standardised set of national training to meet the problem head on. The CEO of AustCyber holds up this cyber security program as the exemplar. CEOs and senior delegates from TasTAFE, TAFE Queensland, TAFE NSW, Canberra Institute of Technology and other organisations around Australia have also sign a National TAFE agreement to work together on a single national approach for tackling the cyber security skills gap. Box Hill Institute CEO Norman Gray is excited by the prospect of Australia’s TAFEs combining their resources. “Within our own jurisdictions, TAFEs are able to produce excellent training results. But united, we have the opportunity to produce something really special,” he said. “By combining the strengths of our teachers and our facilities, we’ll develop a training solution boosted by our combined development of resources and synchronisation of the delivery of programs. 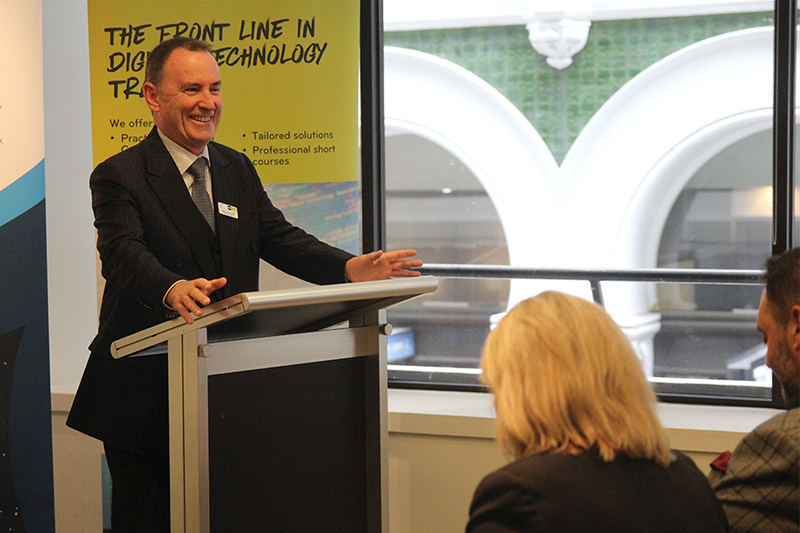 “The Box Hill Institute is proud to be able to lead on this National TAFE approach and I’m grateful for the support from our colleagues around the country and from the Victorian and Federal governments,” he said.